One may view the original Hebrew document posted after the English translation. 1. The Alfei Menashe Rabbinate warns in the Gush Dan area, a product is found under the label Gan Eden Delicatessen, a herring product in a can, displaying the kashrut cortication of the Alfei Menashe Rabbanut and Badatz Eida Chareidit. In actuality, the product does not have kashrut certification from any agency. 2. Northern area kosher inspectors found a product marketed under the name Bethesda, marketed by Hills of Galilee, bearing kosher certification of the Tzfat (Safed) Rabbinate and the OK. It has been learned the wine does not have kashrut certification and should not be used under any circumstances. 3. Tropic of Strawberry mix of herbs sold under the Celestial name, manufactured in the USA, is sold with a claim of kosher under the Star-K and approved by the Chief Rabbinate of Israel. It also states it contains dairy components, and certified under “Tablet K”. Due to the dairy component, the Chief Rabbinate has withdrawn its approval for importing the item, requesting it is removed from shelves. 4. The local rabbinate has removed the kashrut certification from the Seven Stars senior citizens home in Herzliya, located at 38 HaNasi St. and no longer assumes any responsibility for the establishment’s kashrut. 5. 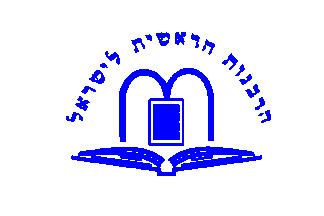 The Bat Yam Rabbinate report the Migdalei HaYam HaTichon (Mediterranean Towers) senior citizens home has lost is kashrut certification due to a change of owners without making the necessary arrangements for kosher supervision. 6. Caramello – barcode 034000012350 is being marketed as kosher under OUd. No imported is listed. 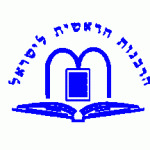 The product contains non chalav yisrael components and is not authorized by the Chief Rabbinate. Therefore, the item may not be used in establishments with local rabbinate supervision. 7. Cashew Catering, shabbat take home foods in Petach Tikvah, located on Tzalach Shalom St in the David & Moshe Synagogue (Hadar Ganim neighborhood). The caterer advertises as ‘kosher mehadrin’ but does not have kosher supervision from the Petach Tikvah Rabbinate. 8. Black Bool flip top, barcode 8437005936690, imported from Spain. The drink states ‘kosher under the supervision of Rabbi Moshe Alon, France”. The beverage is not approved by the Chief Rabbinate and therefore, may not be used in places under rabbinate supervision. 9. Jerusalem alert – Binyanei Ha’uma (Jerusalem Convention Center) area food stands near the bus stops sell pastries, danishes and sandwiches wrapped in plastic wrap with labels stating they are kosher under the Badatz Chatam Sofer Petach Tikvah. Some of the stand display a photocopied kashrut certificate from the same agency. One should be aware the kashrut agency has no responsibility for the items sold and the photocopied certificates do not represent kosher certification for the stands. One should be wary of items not in ‘original wrappers’ from a factory and such wrapping, in plastic type wrap, is unacceptable and leads to suspicion regarding the origin of the item in question. 10. Dried Fruits – Pecan marketed by the Pri Nor Company, barcode 7290013177223, 200 gram packages as labeled “Kosher under the Rosh HaAyin Rabbinate” but in essence, they do not have supervision. The claim is fraudulent. Kishkita, 49 HaOren St. the establishment lost its supervision but continues advertising as ‘kosher mehadrin’. 1. Mul HaSharon Restaurant, Keren Kayemet St. Advertises as kosher but does not have local rabbinate supervision. 2. 4 Ta’amim (Flavors) Falafel, Bar Kochba St. Advertises as kosher but does not have local rabbinate supervision. 3. Kubis Restaurant – 4 Assaf Simchoni St. Advertises as kosher but does not have local rabbinate supervision. HaMa’adaniya B’Binyamina Restaurant – 14 HaIkar St. Advertises as kosher but does not have local rabbinate supervision. 1. Gigi and Nili’s Kitchen – 5 HaShlah St. Advertises as kosher but does not have local rabbinate supervision. 2. Humus Givatayim – Einstein St. Kenyon Aviv Shopping Center. Advertises as kosher but does not have local rabbinate supervision. Tells shoppers they have applied and kosher certification is coming. NOTIFICATION: From the Hebron/Kiryat Arba Religious Council – The Kashrut Dept, under the leadership of Rabbi Dov Lior Shlita, has decided it will not be granting kashrut certification for matzot produced outside the community. This is being done to avoid false claims of kashrut from companies operating outside Kiryat Arba. This means, there Kiryat Arba/Hebron Rabbinate DOES NOT give kashrut certification to the following matzah companies. 4. And any and all other matzah productions. In the event a matzah factory is opened in Kiryat Arba, the rabbinate will advise the public accordingly. The Mitzvot T’Luyot B’Aretz Dept reminds mashgichim there are still items in the marketplace with legumes and seeds from Shmitah year, heter mechira status, such as sunflower seeds. Such items may only be used in establishments with ‘regular’ kashrut and not ‘mehadrin’ kashrut. Posted on January 18, 2010 by JKN Israel. This entry was posted in 5770 - 2009/2010. Bookmark the permalink.